Here is a bird and trout I just finished. 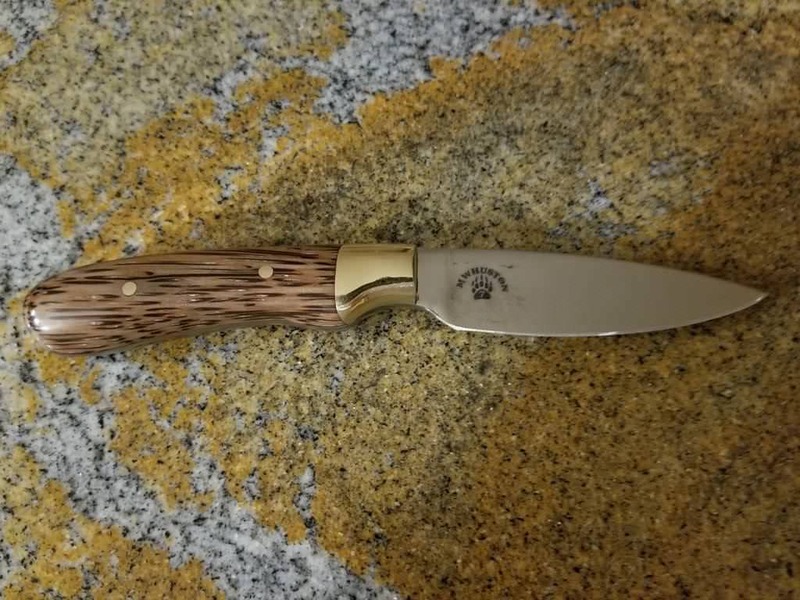 I used 80CRV2 with a brass bolsters and stabilized black palm scales. This is the first I've done tapered tang on. I taped it down with Blue Painter's tape. That didn't work very well. I'll try the scotch tape and polishing it better. Probably shouldn't do this when your tired and in a hurry. No sheath yet, but soon.